There are a lot of out-of-box reports available with Visual Studio 2010. 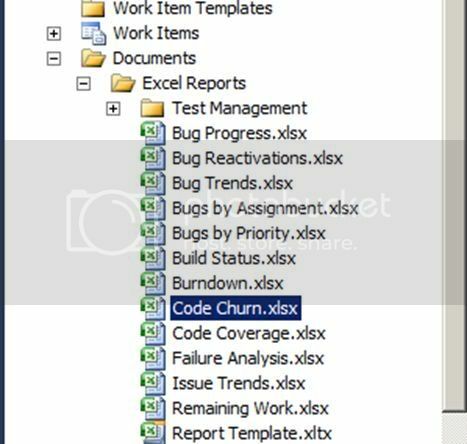 These reports vary depending upon the Process Template selected to create Team Project (MSF for Agile Version 5.0 or MSF for CMMI version 5.0). 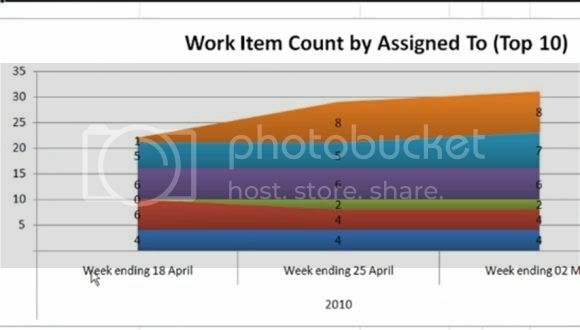 With Visual Studio 2010, dashboards reports are also added. There are many reports which are in Microsoft Excel. 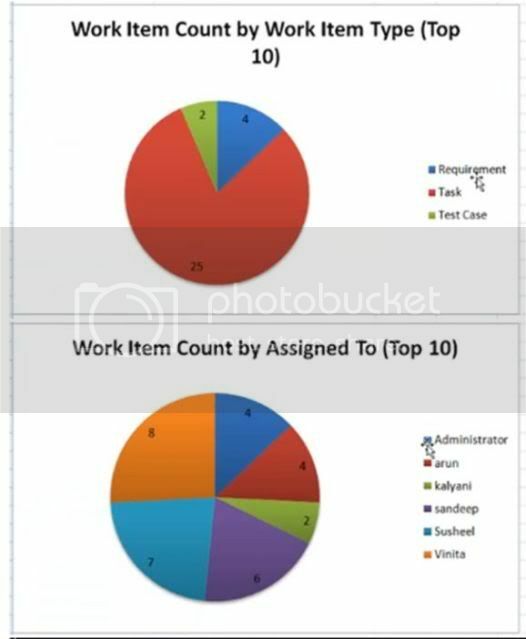 We can differentiate all these reports under 3 categories, Report Manager Reports, Excel Reports and Dashboards. In this article, we will focus on how a new report can be created with Excel and also how an existing report can be modified using Excel. 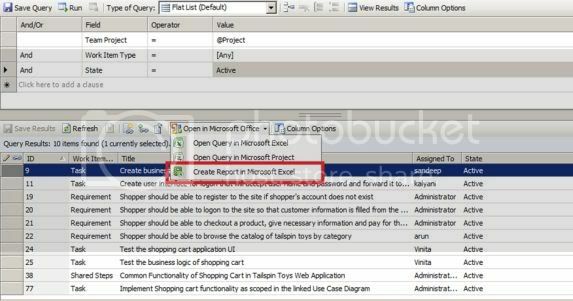 We can select flat list query to generate report. 1. Select ‘Add Query’ right clicking on "WorkItems" from Team Explorer and select Type of Query as Flat List (the default choice) as follows. If a query is already created and saved in Team Foundation Server, open a new workbook in from Microsoft Excel and select New Report tab. Connect to Team Foundation Server and then select query. 2. You can generate 2 kinds of reports. One for current and the other for trend reports (6 reports in all). 4. Now we can view all the reports by just selecting the one. The last link for ‘How to: Edit reports in Microsoft Excel’ requires internet connection or connectivity to the proxy server. 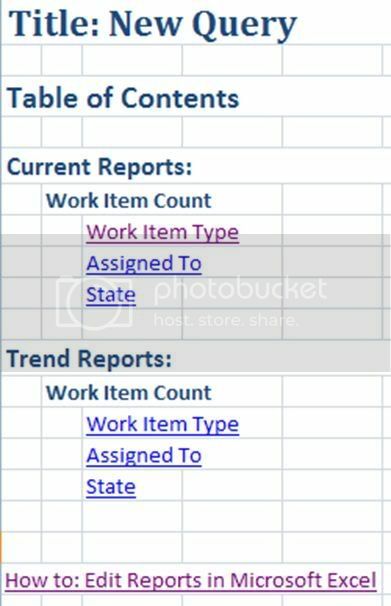 The last report showing trend for work items assigned. 5. The ‘Column Options’ provide a way to customize the columns to be added to report. 6. 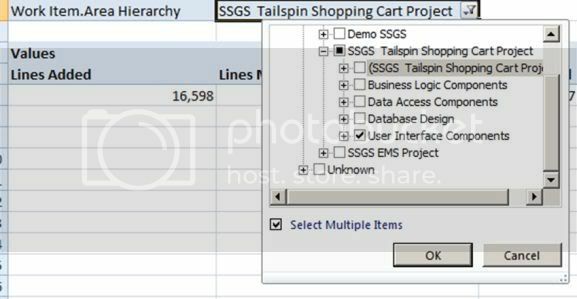 This new report can be saved along with other existing reports which are then reflected on the project portal with Excel reports. a. Connect to the Team Project by using Team Explorer. 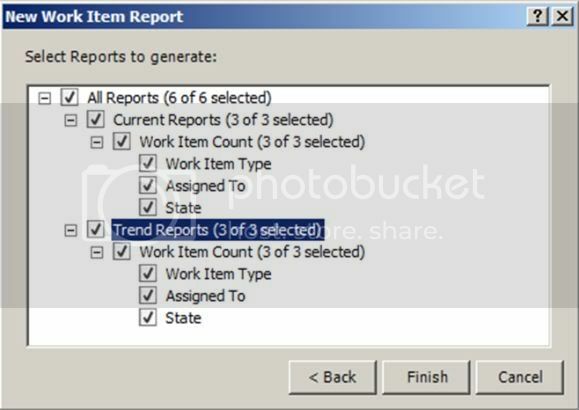 Double click the report to be changed from Documents – Excel Reports. The report will be opened after giving a warning for opening the file. It shows total number of lines added, modified and deleted for all the projects in DefaultCollection. e. The modified report can be replaced with the existing report or a new report can be saved keeping the original intact. Note: Microsoft Office with Excel should be installed on the box which has Team Explorer installed and is in the same domain as Team Foundation Server. In next article we will discuss how to add a report to Project Dashboard as a web part. Thanks Gouri. One correction in bullet 1. It should say Select "Add query" option by right clicking on "WorkItems" to get a new Query. Thanks Arun. I have made the changes on the author's behalf. Thanks for the article Gouri. But are we able to export into different file versions of Excel?